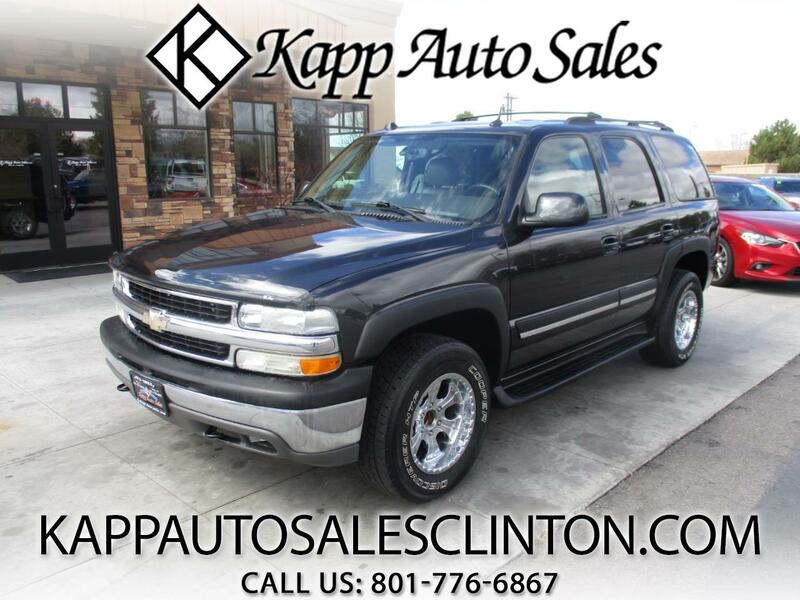 **FREE 3 MONTH/3,000 MILE WARRANTY AT LIST PRICE** CHECK OUT THIS SUPER NICE AND WELL TAKEN CARE OF 2004 CHEVY TAHOE LT!!! THIS CAR IS CLEAN TITLE VEHICLE WITH A CLEAN CARFAX AND ONLY HAS 2 PREVIOUS OWNERS!! THIS THINGS LOADED UP WITH LEATHER INTERIOR, HEATED SEATS, PWR EQUIPMENT, ADJUSTABLE PEDALS, STEERING WHEEL CONTROLS, CD, AUTO CLIMATE CONTROL, DVD, SUNROOF, TOW PACKAGE, AND MUCH MORE!! !